Regiment: 63rd Battalion, Canadian Infantry & No 11 Squadron Royal Flying Corps. 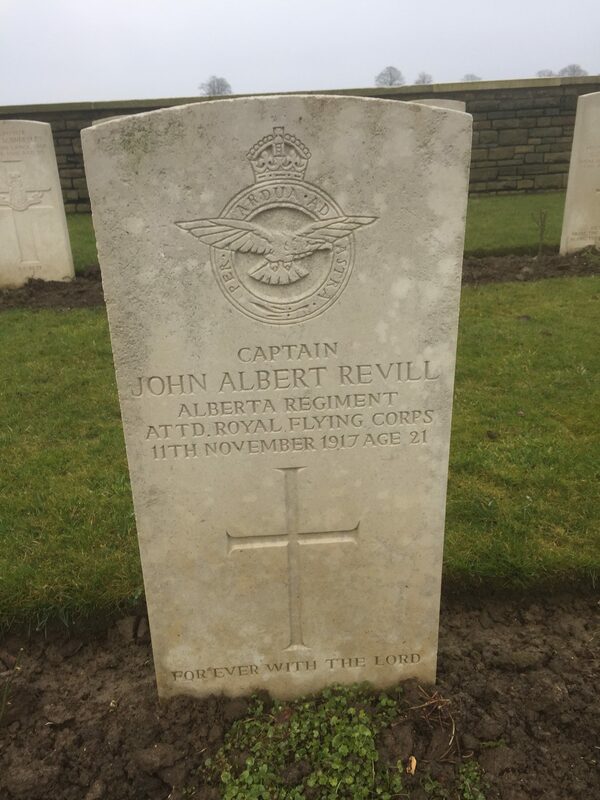 John Albert Revill was born in Sheffield but emigrated to Canada where he enlisted in the Canadian infantry, before joining the Royal Flying Corps in June 1917. He was killed in a flying accident less than six months later. John Albert Deakin Revill (known to his family as Albert or Bertie) was born at Midland Road, Heeley in Sheffield on 13 January 1896, the second son of John James Revill (1870–1946) and his wife Elizabeth née Drabble (1865–1926). John James Revill was the son of Albert and Sarah Revill; following Sarah’s death in 1881, Albert married Fanny Drabble, who had a 16-year old daughter Elizabeth. Thus John Albert Revill’s parents were step-brother and sister. 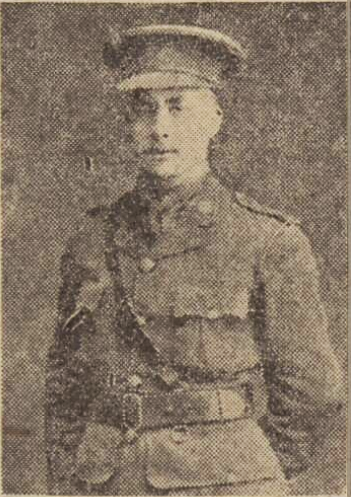 At the time of John Albert’s birth, John James Revill was an insurance agent, but later became a regular soldier (reaching the rank of sergeant) in the 6th Battalion, Manchester Regiment. He married Elizabeth Drabble at St Barnabas parish church in Sheffield on 20 October 1893. Their first son, Reginald was born in October 1894 with another four children (two more boys and two girls) being born at roughly two-year intervals. While John James was away serving with his regiment in Egypt and in the Boer War, Elizabeth and her children lived with her parents-in-law in the Heeley area of Sheffield. 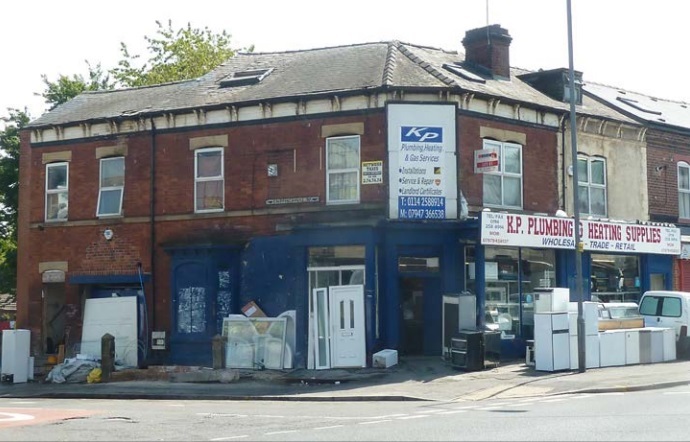 At the time of the 1911 census, 15-year old Albert was employed as a clerk in a steel works and living with his grandparents above the family greengrocer’s shop at 223 Abbeydale Road, Heeley. On 10 June 1913, aged only 17, Albert departed from Liverpool bound for a new life in Canada. He sailed aboard the White Star Line’s RMS Megantic. 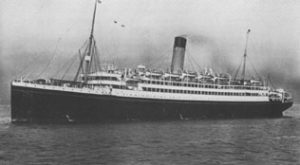 The Megantic had been built in 1909 and could accommodate 230 first class, 430 second class and 1,000 third class passengers. On 18 June, Albert arrived at Quebec from where he travelled to Edmonton, Alberta to take up employment as a clerk. Albert’s father, John had been a Freemason briefly, having been initiated into St Ann’s Lodge No 593 in Alderney in March 1907 while serving with the Manchester Regiment. He was excluded in September 1910. Albert was initiated on 12 February 1917, at the same meeting as fellow Canadian soldier Frank Choveaux, passed to the Second Degree on 10 April and was one of four candidates raised to the degree of Master Mason on 14 May. On 5 January 1915, Albert enlisted at Edmonton as a Captain in the 63rd Battalion (Edmonton) of the Canadian Expeditionary Force. On his attestation, he stated that he was a member of the 101st Edmonton Fusiliers. He gave his religion as “Wesleyan” and gave his date of birth as 13 June 1893, thus increasing his age by some 2½ years. The 63rd Battalion was not formally authorised until 20 April 1915 and spent the next year building up its strength and training until it embarked from Saint John, New Brunswick on 22 April 1916 on board the SS Metagama. The Metagama was built for the Canadian Pacific Line and was immediately pressed into service as a troop carrier following its launch in April 1915. The 63rd Battalion remained in England and provided reinforcements for the Canadian Corps in the field until 7 July 1916, when its personnel were absorbed by the 9th Reserve Battalion, CEF. It is unlikely that Albert Revill served as an infantryman on the Western Front. 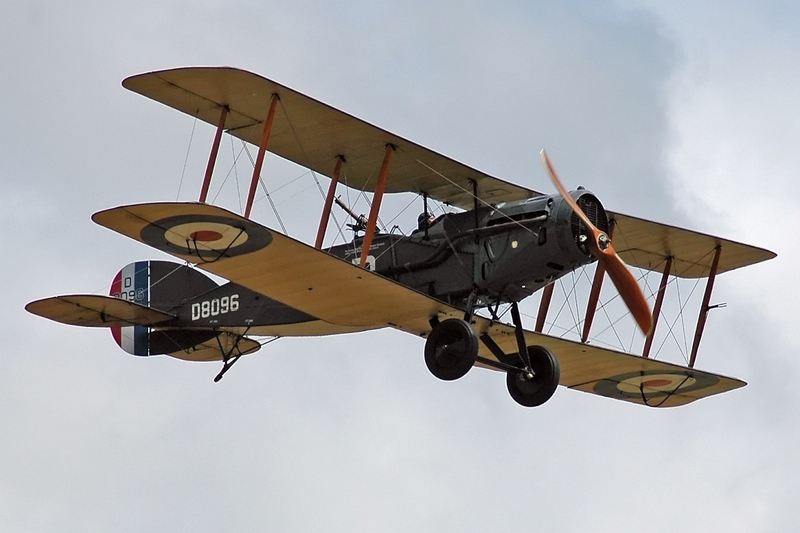 On 21 June 1917, he was seconded as a Captain to the Royal Flying Corps and did his initial training at Reading before being sent to the front on 7 August 1917 to join No 11 Squadron. Two days after his arrival, he was involved in a minor accident while training in a Bristol fighter, suffering a wound in his foot. He recovered from this injury, and on 6 September, he was promoted to flying officer (observer), with his seniority backdated to 7 August. On 11 November 1917 Albert Revill was flying from La Bellevue aerodrome (about 6 km north-east of Doullens) in a Bristol F2B fighter no A7252, as the observer with pilot 2nd Lieutenant Mortimer Sackville West (aged 26). West had achieved five “victories” before his death, the last two months earlier on 11 September. The accident report states that the Bristol fighter “pulled out too quickly from a steep dive and right wing crumpled, during target practice”. The plane crashed near Le Hameau (now Izel-lès-Hameau), 18 km west of Arras. Both airmen were killed in the crash and were buried alongside each other at Warlincourt Halte British Cemetery, between Arras (22 kilometres) and Doullens (13 kilometres). His grave bears the inscription “For ever with the Lord”. Apart from the Masonic Roll of Honour, Albert Revill is commemorated on the war memorial tablet set above the secretaries’ desk within the temple in the St Leonards Masonic Hall, and on his grandparents’ grave at Norton Cemetery in Sheffield. His name also appears on the Roll of Honour which was originally located at Anns Road Primitive Methodist Church in Heeley, but was moved to Christ Church, Heeley following the closure of the Methodist church. At the meeting of Derwent Lodge on 10 December 1917, the secretary reported J.A. Revill’s death and read a letter from his parents. The lodge minutes record that the Worshipful Master “spoke in feeling terms of the deceased brother and asked that the deep sympathy and condolence be sent to the relations. The members were upstanding”. The only way to regenerate the world is to do the duty which lies nearest us, and not to hunt after grand, far-fetched ones for ourselves. In loving memory of my dear boy, Capt. J.A. Revill (Bert), 63rd Canadians, attached R.F.C., killed in action, Nov. 11th, 1917. “Ever in my thoughts.” – From Connie.